13 inch wide single-bound laminated maple hollow body arch top teardrop shaped bass. 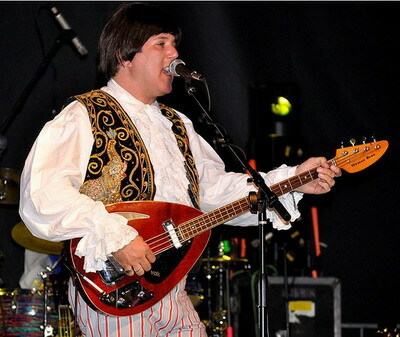 Made famous by Bill Wyman of the Rolling Stones, VOX felt that this bass guitar should be named after its name sake for which Bill lent his name under endorsement. The guitar was a electro-acoustic tear drop model with two pickups and chromed pickups and pick plates. This guitar was the only VOX guitar to be adorned with an endorser's name. This 13 inch wide single-bound laminated maple hollow body arch top teardrop shaped bass weighs just 6.20 lbs. The body is a rich three-tone sunburst and features a single-bound specific shape curved sound-hole. The laminated maple neck is bolted to the body with four screws and has a single-bound rosewood fretboard with a short-scale length of 30.00 inches, a metal nut, zero fret, 21 original medium-thin frets and pearloid dot position markers. The nut width is an amazingly thin 1.38 inches and the neck profile goes from 0.84 inches at the first fret to 0.93 at the 12th fret. The face of the headstock has a "Wyman Bass" decal in black. On the back of the headstock is a black decal with "Made in Italy by Vox". 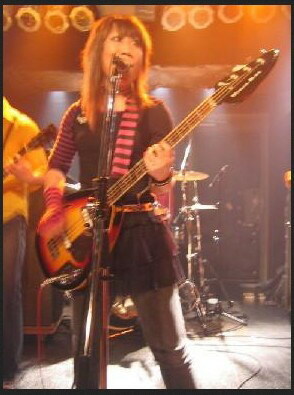 The four on one side tuners are a smaller version of the Individual Kluson style bass tuners with cloverleaf buttons as used on Fender basses of the sixties. Single 'Butterfly' string-tree across D & G strings. 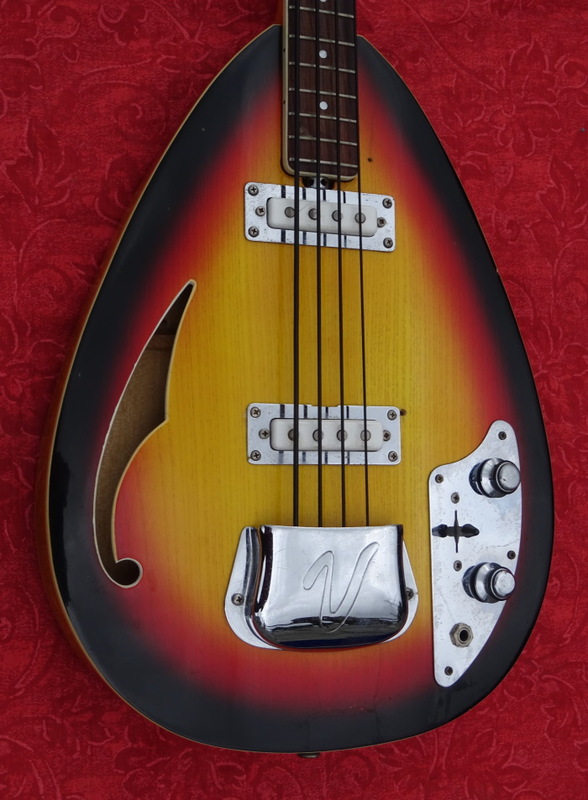 The Vox Wyman bass was designed in 1965 using elements of the Vox "Phantom Mark III" teardrop design-later called just the "Mark" series and has some of the features from Rolling Stone Bill Wyman's preferred Framus hollowbody basses. 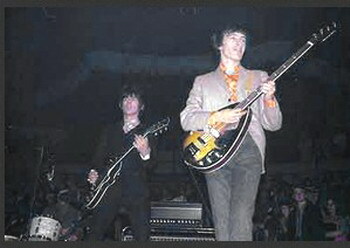 His bandmate Brian Jones had been using the prototype solid teardrop guitar for much of 1964 and 1965, and Vox was eager to secure another Stone as an endorser. The laminated maple short-scale neck is very narrow, which was Wyman's preference. Like most production Vox instruments after 1964, this guitar was built in the Eko factory in Recanti, Italy. This is a very light, easy-playing bass with a surprisingly punchy and well-defined tone... definitely one of the better Vox designs. 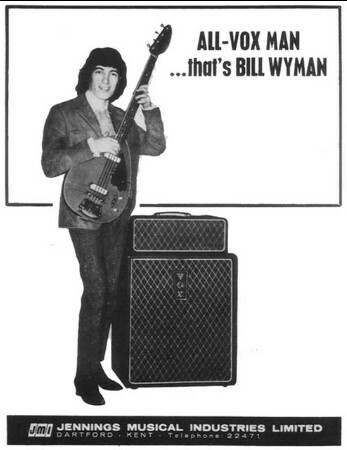 Wyman himself used his prototype for several years in the mid-late 1960's before moving on to Fender and Dan Armstrong basses. "By 1964, the British music scene was exploding with bands like the Beatles, the Rolling Stones, the Animals, the Dave Clark Five, and the Hollies—all of whom used Vox amplifiers. Jennings started to pitch Vox guitars to all the major acts, which made them immensely popular, and resulted in a huge demand for the instruments. To keep up with the request for more Vox guitars, Jennings contacted Welson, a small Italian manufacturer who began building a limited number of inexpensive single-cutaway jazz box guitars that were added to the Vox line. Later, a larger Italian guitar manufacturer called Crucianelli was hired by Jennings to build semi-hollow electric guitar models bearing the Vox name. British production of Vox guitars continued simultaneously, and it was common to have the same models built in both factories. British-made Vox guitars have sequential serial numbers stamped on the back of the headstock (and later on the neck plates), while the Italian-made guitars have a different set of serial numbers that is always stamped onto the neck plates." (Andy Babiuk, Vintage Guitar Magazine).